Nomad at heart and Brooklyn born, Dahlia Dumont has traveled the world from an early age, absorbing the cultural and musical influences along the way. 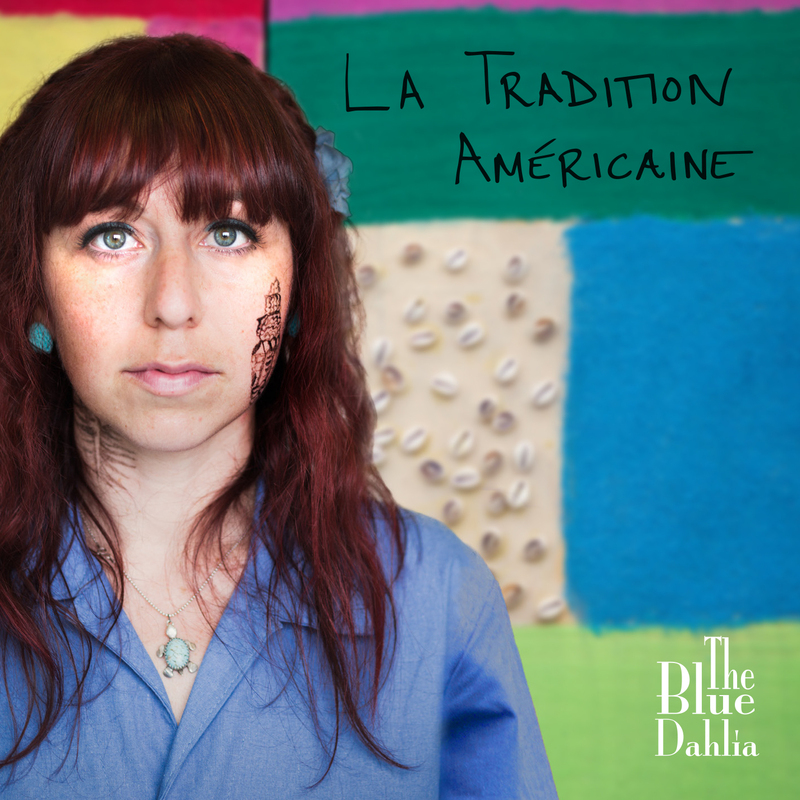 Her Eastern European heritage and years as an anthropology student and teacher in France and Senegal helped to shape her musical palette, and in 2012 she created her project called The Blue Dahlia. As noted in Rock Paper Scissors, the Atlantic-spanning band’s latest album weaves French, Mexican, Caribbean, Eastern European, American folk and soul elements together into “La Tradition Américaine” (official release: August 10, 2018). Guided by a puckish refinement and gritty ingenuity, Dumont explores the US’s double-faced tradition of welcoming diversity while wallowing in backwater closed-mindedness and mindless devotion to work and money, through a global lens and with collaborators who take everything from Yiddish poetry to pint glasses and chopsticks to make free-thinking, high-spirited songs. “My influences stem from growing up in New York as a first-generation American, but also from all the musicians that I work with, all the sides of American music out there,” reflects Dumont. Dahlia’s debut album, “The Blue Dahlia” was released in 2015. Her sophomore album, “La Tradition Américaine,” was released globally via Innsbruck Records. Dahlia Dumont: vocals, ukulele-player, singer-songwriter. The Blue Dahlia: lyrics in English and French, French and Mexican accordion, klezmer violin, warm and soulful rhythms of reggae, ska and Latin America; coupled with the sensual voice of jazz and French chanson. Dahlia’s music has been performed as an acoustic trio in the intimate bistros of New York and Paris, as well as the electric big band in venues and festivals around the world.